Verna is a wholesome farm girl who finds being bused to high school in industrial Dunthorpe a bit of a culture shock, but before long she is in with the girls she had aimed for and even accompanies one of them, beautiful though stupid Darlene, to her appearances in New York City as Central U.S. 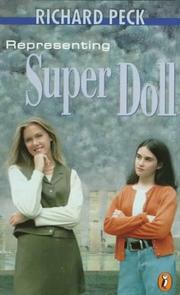 Teen Super Doll. How Velma helps Darlene to resist her divorced mother's determination to groom her as Miss America doesn't seem all that significant, nor does older brother Hal's decision to let Sheri, his nice stewardess wife-to-be, support him through medical school. But here it's the scenes and encounters and experiences along the way that make the trip worthwhile: Verna's moth--er's proud company dinner when her school friends come to visit, sour Aunt Eunice's self-conscious pleasure upon winning some perfume at the county fair, and above all Verna's reactions to New York, where TV panelists vote her "the real Super Doll" and Darlene a "well chosen and well endowed imposter." Any visitor to the city will recognize the inflections of chaperone Miss Teal, who talks as though "she's mad at us" (really it's "the way almost everybody talked there") and arranges dinner at Mama Minestrone's, "the noisiest place on earth," where Velma's blind date yells above the din that "I always stick with Super Doll's friend. You meet a more interesting class of women that way." Velma indeed is a likable girl and, as Sheri says, she doesn't miss much.